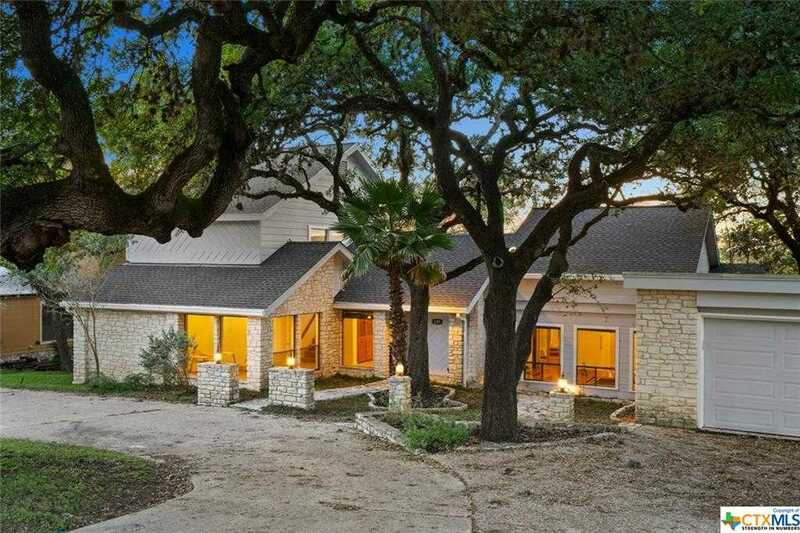 Vintage 70s Contemporary Inspired home with a prime seat of the surrounding hill country views! Established oak trees gracefully frame the home while the skylights and abundant windows blend the home with the natural elements. Plenty of space awaits with 2 living areas, a breakfast area, a wet bar, built-in dining cabinets and renovated kitchen which enjoy openness & connection while sharing the beautiful view. Master wing offers double vanities, oversized walk-in closets, with a separate shower and tub. Second master, or full guest suite upstairs with another huge closet. Separate office or media room. Enjoy the deck and fenced in yard plus the fabulous location of being a stone’s throw from everything San Marcos! Made for the avant-garde Buyer! Please, send me more information on this property: MLS# 363601 – $319,000 – 129 W Sierra, San Marcos, TX 78666. I would like to schedule a showing appointment for this property: MLS# 363601 – $319,000 – 129 W Sierra, San Marcos, TX 78666.